Do you remember back in April when we had the last eclipse? 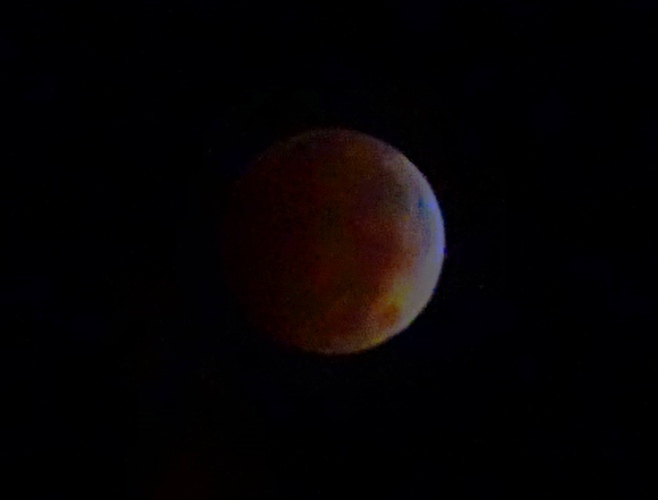 I took some pictures then and you can see them in The Blood Red Moon. 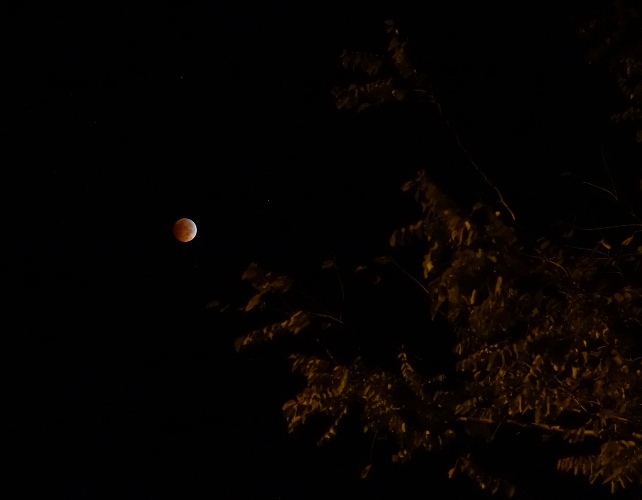 Last night we had another eclipse, so another opportunity for taking pictures of a red moon. Last night after finishing my post on the Newport Tower I snapped a quick picture of the full moon for reference and then set my alarm to get up in the middle of the night. When I woke up I went and got my tripod set up and worked with my camera settings to get some pictures. I definitely got some better pictures during this eclipse. 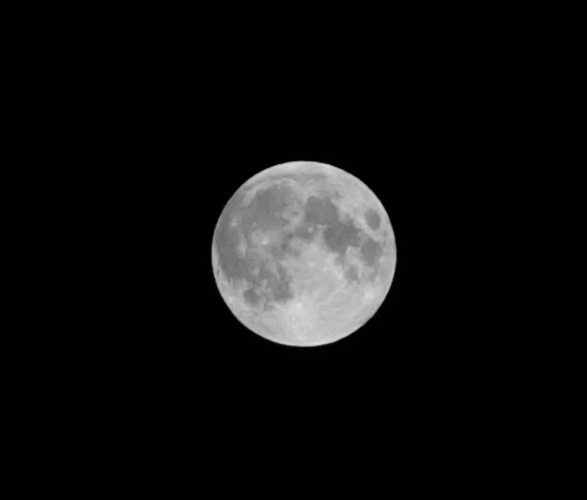 Here is one of the first pictures that I took when the moon was still entering the shadow of the earth. I had enough light from the moon so that the camera would focus. You can see some of the features on the moon in this picture. 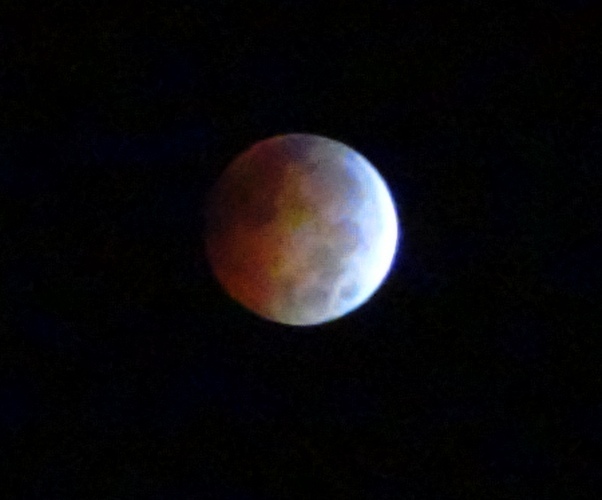 Here the eclipse is progressing and you can really start to see the red color of the moon. I did not have a good vantage at this point as I was shooting through an open section through a tree. I finally moved further down the driveway so that I was past the tree. Here there is only a little bit of light left on the moon and you can really see that the moon is turning red. I then decide to pull back and get a larger field of view. In this picture you can even see some of the stars. I like this picture as it shows a tree in the foreground and the red moon with only a small crescent of white showing. 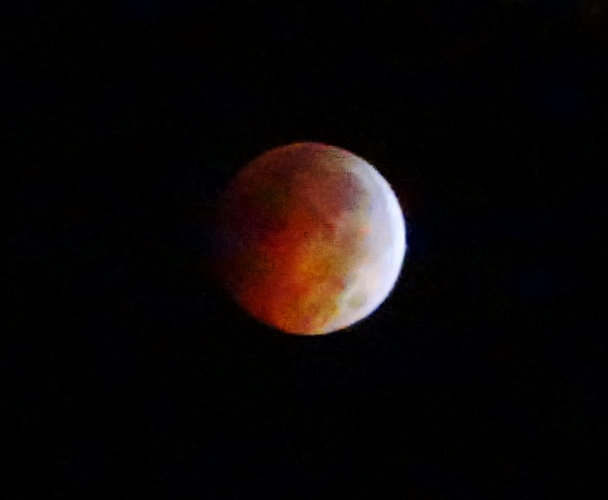 Here is one last shot showing the beautiful red color of the moon. I really enjoyed watching the moon slowly change color. Of course, I am now paying for getting up in the middle of the night as I am really sleepy. I need to try and get caught up on some of my sleep tonight. 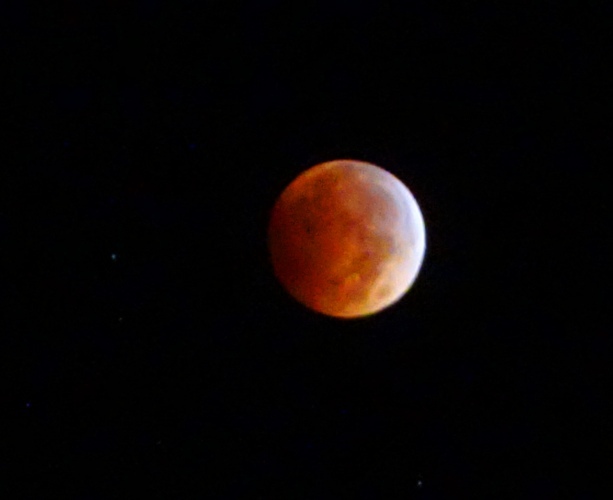 Did you get up to see the Blood Red Moon? 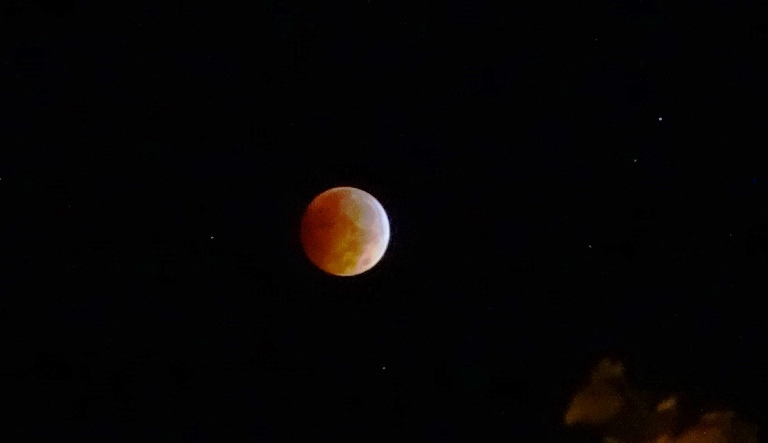 This entry was posted in Astronomy, Nature and tagged Blood Red Moon, Eclipse, Full Eclipse, Full Moon, lunar eclipse, Moon, Night Sky, Photography, Red Moon, Tripod. Bookmark the permalink. Was awesome! Your photos are beautiful! Thanks for share them! Wonderful pictures! It’s amazing that we had two eclipses that provided good photo ops this year.